Marjorie Orbin -- Where is She Now? Pssst! Going to jail, buying documents, and everything else it takes to get this kind of info for the blog takes time and money! Every time you make a purchase here, it helps me be able to do more for you! Dear Twittles, due to today's very loooooong testimony, I'm encouraging y'all to post your questions here so I can answer them here. @goobster Not clear to me right now if he still owns any of it. It seems to be affiliated with a university now so he may be an employee of the university at this point. Just don't know. Whatever money he pulls in to the organization, though, would certainly still be to his credit whether he is an owner or an employee. 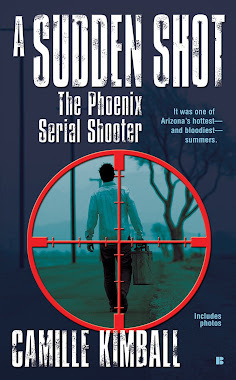 @foxone1 Yes, I live in Arizona and write Arizona crime. I tweeted the Elizabeth Johnson trial, which will air on InSession soon. Tyler Durdin Court staff informs me no dinner break is planned for jurors at this point. Today, Wednesday May 1, 2013, is slated to be the last day of testimony in the Jodi Arias trial. Defendant Arias has already admitted to leaving her erstwhile lover in his own shower with nearly thirty knife wounds, a bullet in his head, and a throat slashing so deep and clean the young man's head could be tipped back like a hinged bottle top. But when she took the life of this ambitious Multi Level Marketer, motivational speaker, and man of faith, what was her mental state? 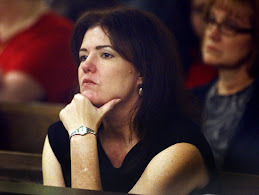 Is Jodi guilty of pre-meditated murder and eligible for the death penalty? Or was she in a struggle for her life or even have a momentary rage? Miss LaViolette's testimony was rebutted by the prosecution psychologist, Dr. Janeen Demarte. Dr. DeMarte testified it was "extreme" to interview a defendant for 40 hours and that it suggested the evaluator was giving therapy or had "some kind of relationship" with the person they were supposed to be giving a neutral evaluation of. Dr. DeMarte said Travis never abused Jodi but did express his anger when he "felt betrayed or deceived by her." Dr. DeMarte said that instead of Post Traumatic Stress Disorder or Battered Woman Syndrome, Jodi displayed strong characteristics of Borderline Personality Disorder. BPD is an Axis 2 diagnosis and reveals a person with "a lot of internal anger and hostility," Dr. DeMarte testified. She described Jodi as a person with unstable emotions and relationships and with a tendency to have a sudden outburst after keeping the anger and hostility hidden. Dr. Geffner today will specifically address the Borderline Personality Disorder diagnosis. He is expected to refute it and to refute the diagnostic tool Dr. DeMarte used, the MMPI-2, and her description of its validity. After Geffner testifies, the prosecution will have the chance to put on one more witness, to refute him. This person is expected to be Dr. Jill Hayes, an associate of Steven Pitt and Associates. Dr. Pitt has worked on Columbine, Kobe Bryant and many other of the nation's biggest criminal cases. Look for Dr. Pitt's name to come up in more than one article about the Arias case. Dr. Hayes, however, has remained neutral and so will be able to appear in the case. Dr. Hayes is licensed in both Louisiana and Arizona. I will be inside the Jodi Arias courtroom tweeting live my observations, everything from Jodi's movements while off camera to interactions of major players in the hallways outside court in addition to testimony. Look for me in the Media Section, in the rows behind the Alexander family, when the camera pans to the prosecution side of the gallery. Click this link to find me on twitter @CamilleKimball And check back here as I periodically post new pieces in longer form. Also, if you haven't gotten a response from me to a message you sent on twitter, I encourage you to leave your question or comment here where it may be easier for me to find. I've been following (and tweeting) (@TangoinSA) this trial for a long, long time, it seems. First, since she admitted to killing him, how can any jury then acquit her or say "Not Guilty" in all good conscience? Secondly, have you ever heard or read any information which explains how Jodi has had the funds to travel, deposit $ in her bank account, expensive nails/hair and hair removal treatments on a waitress income? This has been puzzling me all along and the reason why is that I am not entirely convinced this was a solo act. Sandy, I've wondered the same thing but I am convinced it was, mostly, a solo act. I say "mostly" because there seems to be something very shady about Matt M. and I wouldn't be at all surprised if her were giving her occasional financial help as well as moral support. But nothing about Jodi Arias would surprise me. 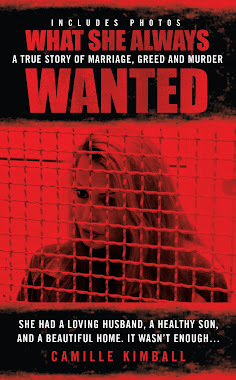 She might have discussed her plans to murder Travis with Matt M. but it's hard to believe that many people, however dysfunctional, can rise to her level of brutality. As I said though, nothing would surprise me. I've wondered if she's been stealing from family, friends and employers..an attractive young woman with no morals or conscience wouldn't be limited in any way. Especially one with lots of...sexual skills. Who knows? I put nothing past her. Jodi Arias Jury - How Long Will They Take? Tara Hitchcock says "It's like a movie!" Chevalier's in LA--see you Friday! Scott Light asks about the "parade of women"
KYOT interview with Melissa Sharpe who finds it "riveting"